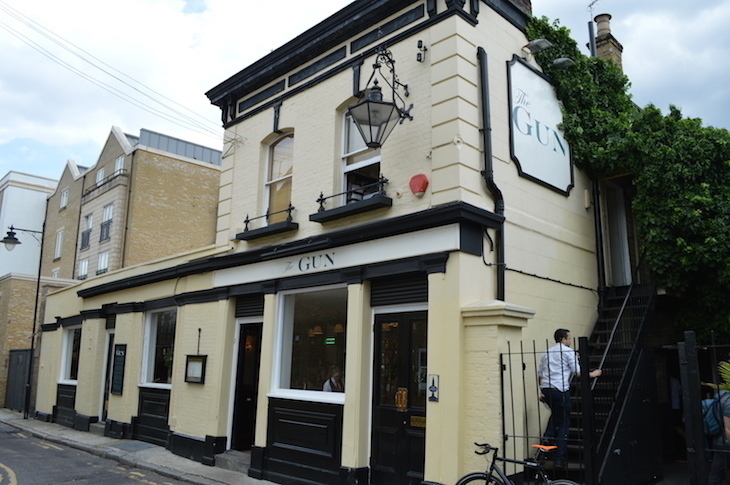 Here we present a subjective list of the 10 best pubs along the Thames. You won’t agree with all of them, and you’ll no doubt be furious we left out your favourite, but we can almost guarantee you’ll find somewhere new and special for a water-side sup. 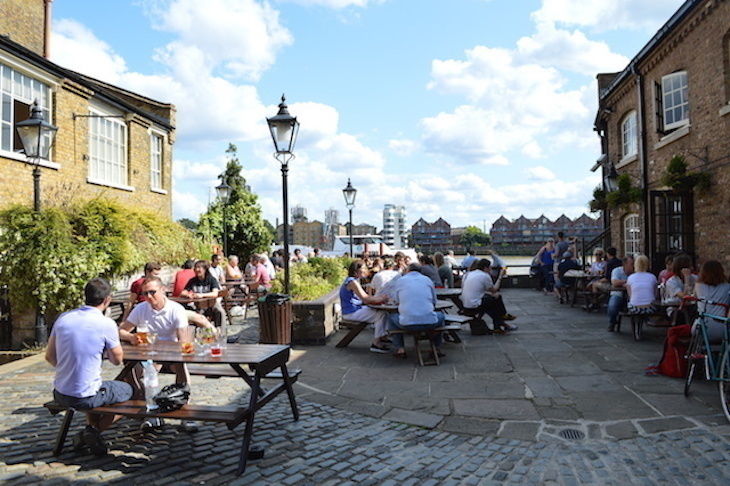 Here’s a beer garden that’s so close to the Thames that it sometimes becomes part of it. The 17th century White Swan is sensibly raised a few steps above the river path, but its outdoor drinking space is not. So, during higher tides, the area is completely cut off. 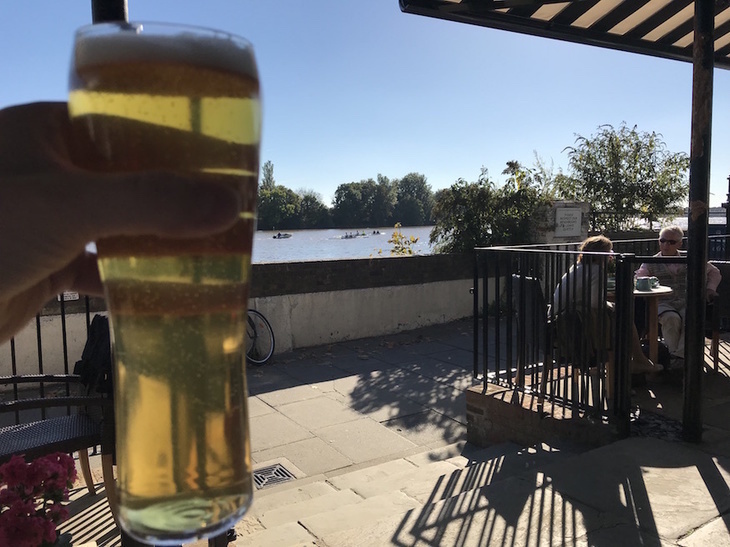 If you want to experience a boozy stranding, be sure to time your drinks round well or be prepared to wade through ankle-deep Thames water to reach the bar. 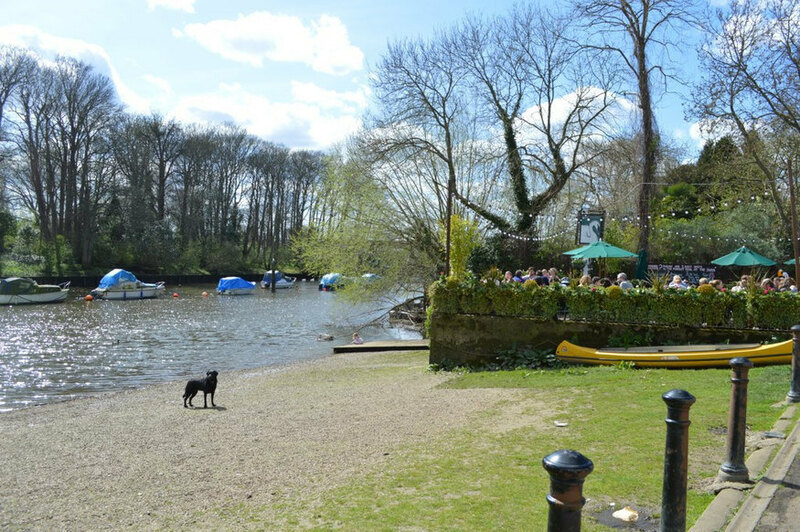 White Swan, Riverside, Twickenham TW1 3DN. 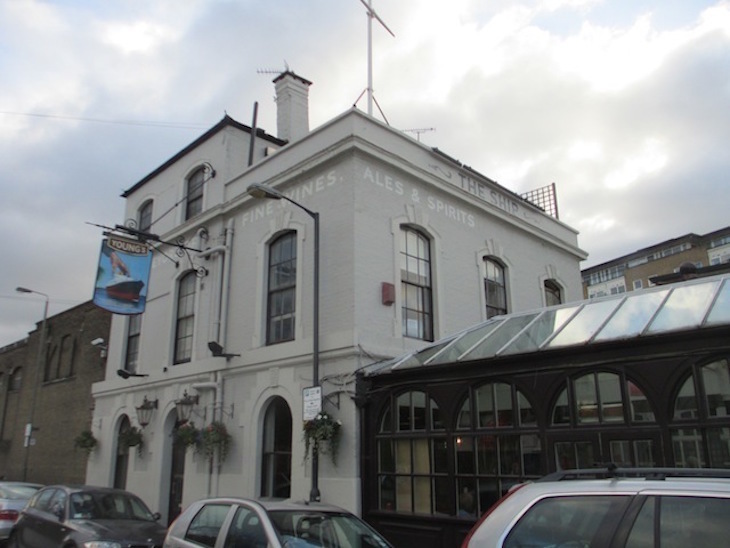 This large venue in Isleworth is often forgotten about in lists of London’s oldest pubs, but it does have some claim. Henry VIII supposedly popped by while visiting nearby Syon House. It’s been rebuilt since then, but the Georgian brick facades still look suitably historic. The views from the riverside garden are unique. Stand in the right place and you look straight down a long stretch of Thames — this could almost be Coniston Water. Full review of the London Apprentice. Hammersmith’s waterfront contains the greatest concentration of noteworthy pubs anywhere on the Thames. Dip into any retreat between Hammersmith and Chiswick and you are unlikely to experience disappointment. One of the more polished pubs, recently refurbished, is the Old Ship. It’s a bit of a trek from the tube and the high streets, so offers a more laid-back experience than, say, the Blue Anchor or Rutland Arms. The upstairs dining room offers the best views, but the plentiful outdoor seating is pressed tight against the river. Full review of the Old Ship. 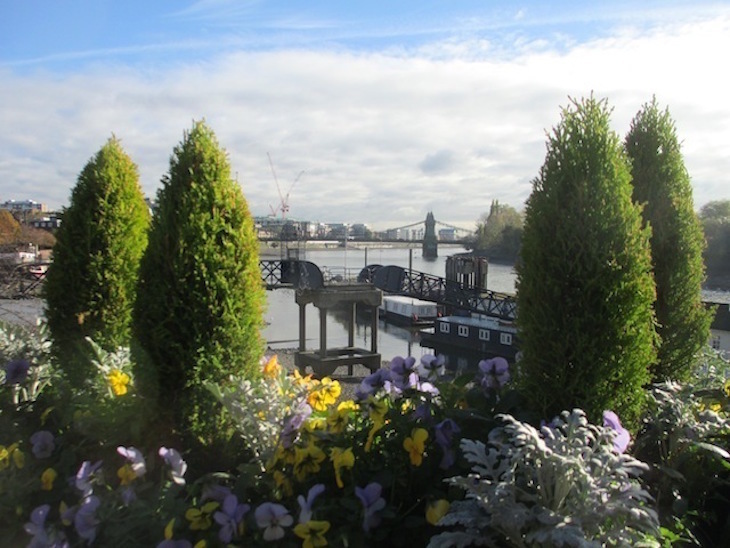 This famous old pub stands on a bend in the Thames, offering exceptional views left towards Hammersmith Bridge, or right towards Chiswick. It’s not the largest of spaces, but catch the place at the right time and there are few nicer spots. The inside is impressive, too — all wooden beams and pokey corners. The pub even claims the Guinness World Record for smallest bar — though we’ve never been entirely convinced. Full review of The Dove. Built near a sewerage outlet in an old industrial part of Wandsworth, the second Ship in our list might not sound like an attractive proposition. But it is. Very much so. The front room is timewarp pubbery, with browns and creams like your grandad used to know. The larger conservatory room, an extension to the original Georgian building, looks much more modern in marine blues. Meanwhile, out back, you’ll find one of London’s more idiosyncratic beer gardens, with a red phone box and some kind of ship’s wheel-type-thing. You can almost imagine you’re on some kind of cruise — but with better food and drink. Full review of The Ship. We now leapfrog the centre of town. Most people will already be familiar with places like the Anchor, the Founders Arms and Doggett’s Coat and Badge. All have their draws, but are often marred by the high tourist footfall. Instead, we hurdle over Tower Bridge to Wapping. Perhaps the most controversial entry in our list comes in the swashbuckling shape of the Captain Kidd. 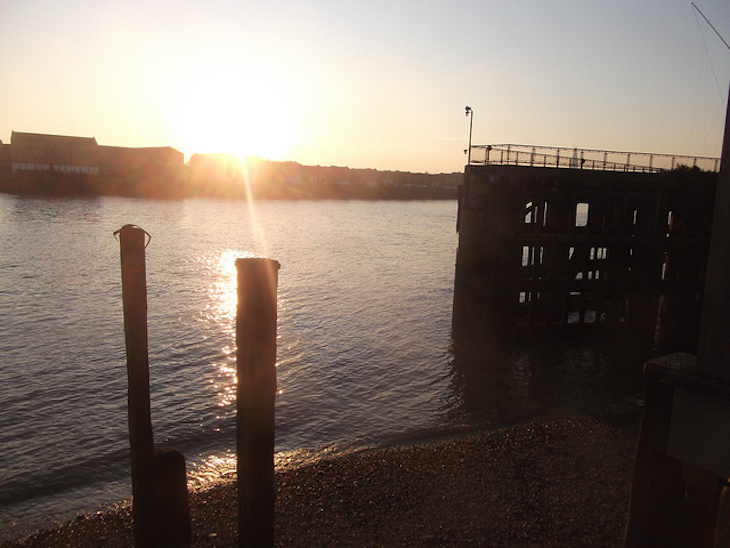 Wapping riverside contains two other excellent pubs, the Prospect of Whitby and the Town of Ramsgate. These usually trump the Kidd in lists like this, thanks to their olde worlde charm and authentic history. The new Kidd on the block is lesser-appreciated, but deserves greater attention. The excessively wood interior does have its charms, but the real merit of this place is a simple one: space. 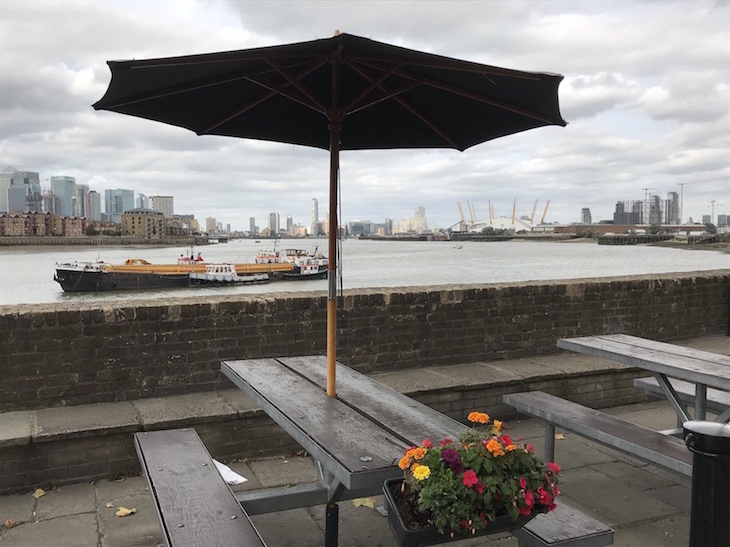 You’re far more likely to bag a Thames-side table here, either in the adjacent beer yard, from the main bar’s bow windows, or upstairs in the restaurant. The only downside is the sheer number of people doing pirate impressions. Yeearrgh!! Full review of the Captain Kidd. A short stroll downriver brings us to The Grapes. This time capsule of a pub is charm personified, straight out the pages of Dickens — literally, for the Grapes features in Our Mutual Friend as the Six Jolly Fellowship Porters. It’s also noted for its owners, who include Gandalf himself, Sir Ian McKellen. River views are hard won — the rear terrace is tiny — though the persistent jostler will get a glimpse of an Antony Gormley sculpture poking up out of the water. Full review of the Grapes. 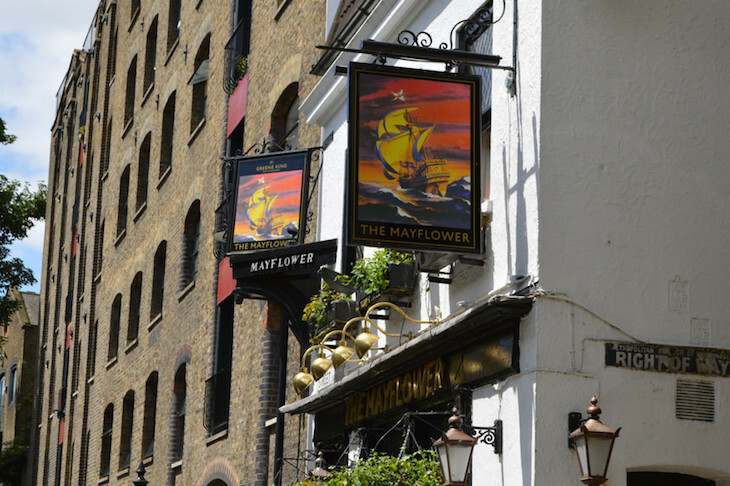 Another famous riverside pub we can’t leave out, the Mayflower brings plenty of tourists to Rotherhithe, an area that might otherwise be considered ‘off the beaten track’. The pub’s name comes from the ship of the Pilgrim Fathers, who set sail for America from hereabouts. US accents don’t take long to overhear in the traditional interior. There’s no arguing with the charms of this place. Dark timber beams, dangling mugs, low ceilings and a forest of plants make it hard to describe without slipping in the word ‘cosy’. Book a table upstairs to enjoy some of the best food in the area. Full review of the Mayflower. Another food-focussed pub nowhere near the tourist trail lurks on the east side of the Isle of Dogs. The Gun’s been here for a quarter of a millennium, and the interior somehow manages to look simultaneously ancient and modern (partly thanks to a devastating fire in 2001). The view of the Thames is almost film-set perfect, with the dome of the O2 perfectly framed by the dining terrace windows. Full review of The Gun. The Trafalgar pub in Greenwich is better known, and is always a pleasure to visit despite the crowds, but walk a little further downriver and you reach the Cutty Sark; not the museum-ship, but the namesake pub. Here you’ll a riverside beer yard with sweeping views round to the O2 dome or, if it’s too chilly for that, a roaring fire inside the quaintly timbered pub. The best way to experience this place is to book into the upstairs dining room and take your time over the skipper’s catch (for those who eat fish). Full review of the Cutty Sark. 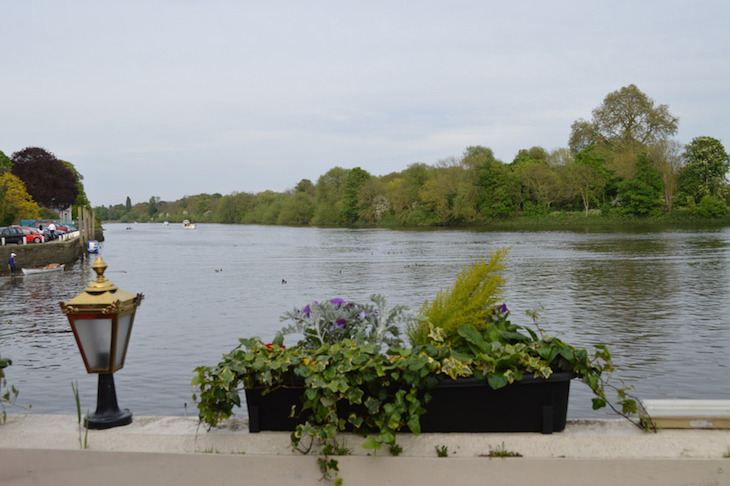 In 2013, we asked Londonist readers to vote for their favourite riverside pubs. The winners (not necessarily the same as our subjective choices above) can be found here, along with a map of all the nominated pubs.